Myanmar presidential office spokesman Zaw Htay has said 176 of 471 ethnic Rohingya villages in three townships are now completely empty and at least 34 others are partially abandoned. He said at least 86 clashes occurred through September 5, but none since. “What that means is, when the security forces are trying to stabilize the region, they have succeeded to a point,” he said. The crisis erupted on August 25, when an insurgent Rohingya group attacked police outposts in Rakhine and Myanmar’s military responded with “clearance operations” against the rebels. The ensuing violence has left hundreds dead and set off the refugee exodus, with new arrivals crossing the border into Bangladesh each day. The government blames Rohingyas for the violence, but journalists who visited the region found evidence that raises doubts about its claims that Rohingyas set fire to their own homes. 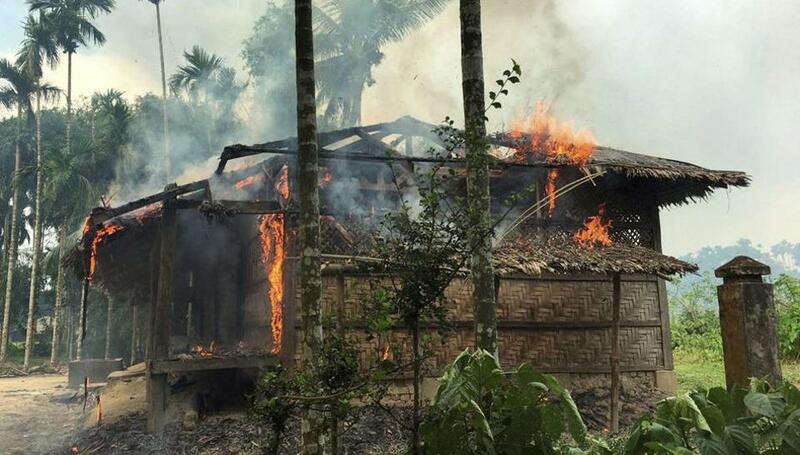 Many of the Rohingyas who flooded into refugee camps in Bangladesh told of Myanmar soldiers shooting indiscriminately, burning their homes and warning them to leave or die. Others said they were attacked by Buddhist mobs. Bangladesh has been overwhelmed with the massive influx of Rohingyas, many of whom arrived hungry and traumatized after walking for days through jungles or being packed into rickety wooden boats. Bangladesh already was housing some 500,000 Rohingyas who fled earlier flashes of violence including anti-Muslim riots in 2012. Many newcomers were staying in schools or were huddling under tarps in makeshift settlements along roads and in open fields. Basic resources were scarce, including food, clean water and medical aid.